After last week’s dive into the units of defensive backs and linebackers, this week the focus is on Coach Paul Chryst’s secondary: Cornerbacks and safeties. The key to a great defense is every position unit contributing simultaneously and taking pressure off the rest of the defense in the process. Controlling the run game doesn’t matter if the opposing team is able to move the ball through the air, and vice-versa. Thus, a key variable contributing to the Badgers’ success this coming season will be the secondary. Cornerback is a key position for Defensive Coordinator Jim Leonhard’s unit. If his players in the trenches are able to control the game at the line of scrimmage, as they often have in the past, and limit the rushing attack of the opposing offense, the secondary is able to sit back in coverage and pay more attention to covering opposing receivers. Leonhard said goodbye to ultra-productive starting corners Nick Nelson and Derrick Tindal after the 2017 season, along with projected starter Dontye Carriere-Williams just days before the 2018 season. After losing practically all of his production, Leonhard was forced to interchange corners constantly as the 2018 season progressed. Specifically, Leonhard started six different cornerbacks throughout the season, many of them freshmen who had never before played at the collegiate level. 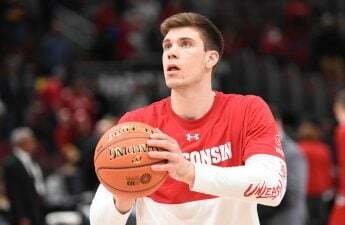 Now, with all contributors at the position from last season returning to Madison for at least another year with at least some experience under their belt, Leonhard has the depth to foster competition and strength from the position as the season approaches. Returning players who contributed meaningful snaps a season ago include sophomore Donte Burton, redshirt sophomore Deron Harrell, redshirt sophomore Faion Hicks, redshirt junior Caesar Williams, sophomore Madison Cone and sophomore Rachad Wildgoose. Hicks, Williams and Wildgoose are more traditional outside cornerbacks and saw much of the work at the position a season ago. They started a total of 23 games between the three of them, recording a total of 88 tackles, 13 pass breakups, two interceptions and two fumble recoveries. The likely contributors at the slot or nickel cornerback position are Burton and Cone. Cone led this position unit with two interceptions last year, while Burton played in four games, starting in one. To go along with these names, Chryst and Leonhard will welcome true freshmen Semar Melvin, James Williams and Dean Engram when summer preparation begins. Overall, similar to the improvements needed at linebacker, Leonhard hopes his unit will use some of the valued experience gained last season to improve upon the low turnover and deflection totals they had a year ago. Four-year starter, 2018 team captain and 2018 Collegiate Man of the Year D’Cota Dixon played his last game as a Badger last season and has declared for the NFL draft. With Dixon gone from the lineup, it’s now time for Chryst and Leonhard to find his replacement. 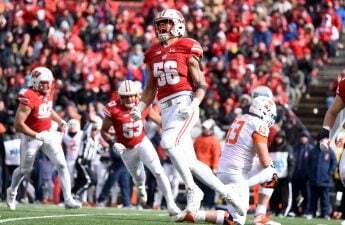 There’s no question it will be challenging to replace his memorable Wisconsin career, one which ended with 32 starts, 177 tackles, 8.5 tackles for loss, 2.5 sacks, 3 forced fumbles, 5 interceptions, 16 pass breakups and a .778 winning percentage, though his injury last season did give valuable experience to the youth at the position. This youth, similar to the cornerback position, showed flashes at times last year, but struggled in others. The two projected starters at safety are Scott Nelson and Eric Burrell. 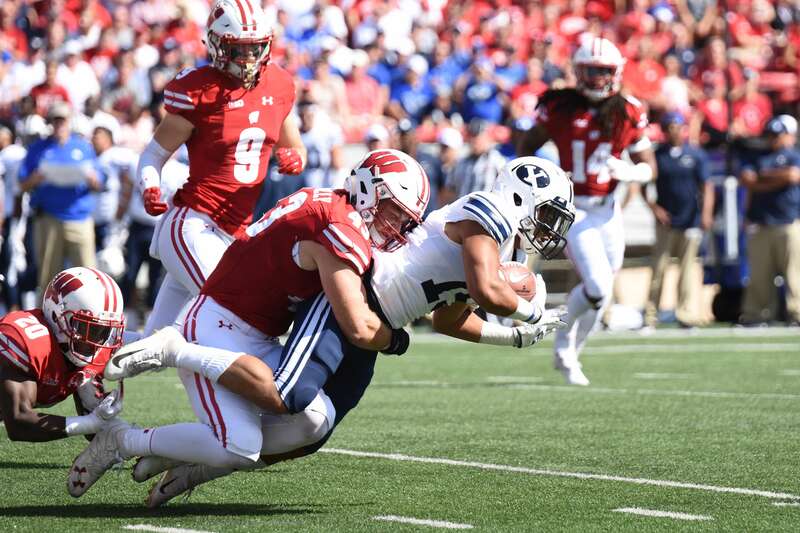 Nelson, a redshirt freshman last season, started eight games for the Badgers and recorded 41 tackles, one forced fumble, 3.5 tackles for loss, six pass breakups and one interception. 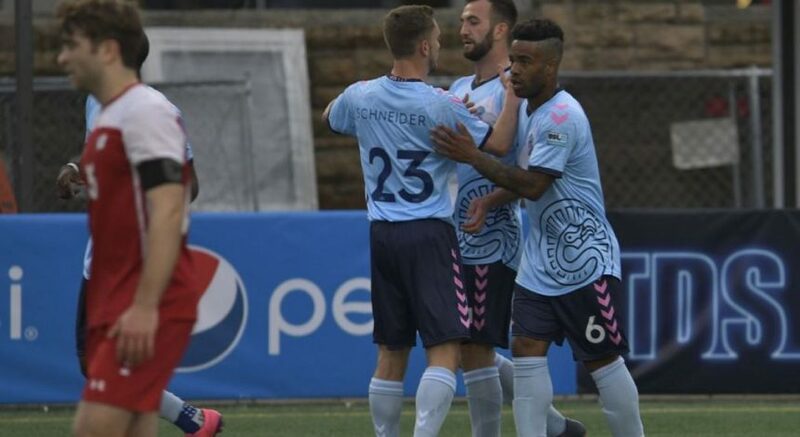 Despite being thrust into a significant role as a freshman, Nelson showed flashes of brilliance and toughness at the position, though at times also showed his lack of experience in certain situations. One of the faults at the position last year were the injuries that plagued Nelson and Dixon. On the bright side, these injuries gave way for Burrell to showcase his ability to make plays and punish receivers. Burrell ended up playing in 13 games and recorded 42 tackles, two forced fumbles, one interception and two pass breakups. If Nelson and Burrell are able to develop this spring, stay injury free and build upon their productive 2018 campaigns, the back end of Jim Leonhard’s secondary should be in good hands. Other names to know at the position are redshirt junior and Houston transfer Collin Wilder and redshirt freshman Reggie Pearson. Wilder was known more as a special teams producer at Houston, and Pearson showed promise in his one start last season against Michigan, where he recorded a forced fumble to accompany his five tackles. This wraps up the defensive side of the spring preview series. 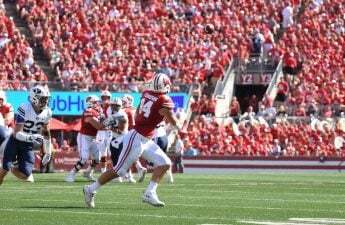 Although Chryst and his staff said goodbye to many producers on the defensive side of the ball, there is hope going into the 2019 season that new names can emerge and work together to bring back the vaunted Wisconsin defense we’re all accustomed to. Positions up next for the spring previews are the offensive line and running backs. Spoiler alert: Jonathan Taylor is good at football.